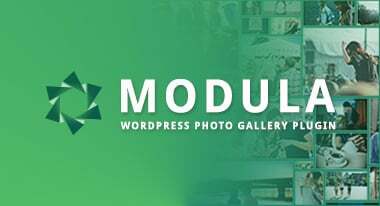 Nimbus Themes / Magazine / WordPress Themes / 12+ Fast Loading WordPress Themes – Because Every Website Should Be Blazing Fast! 12+ Fast Loading WordPress Themes – Because Every Website Should Be Blazing Fast! A WordPress theme is worthless if the pages take too long to load. 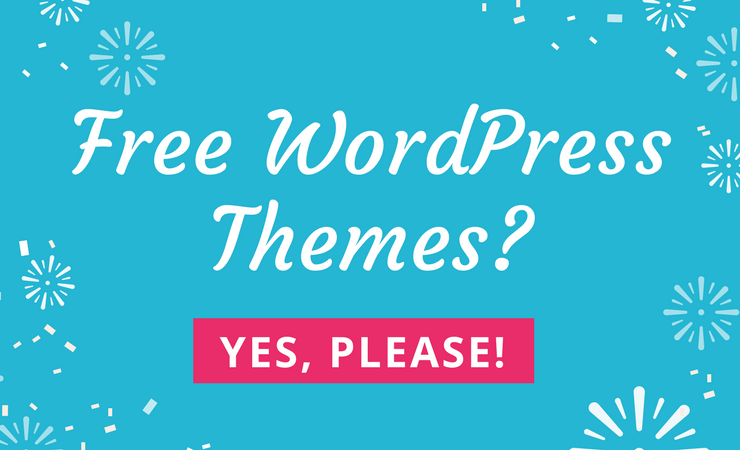 Surprisingly, you’ll find many WordPress themes on the market that have clunky media elements or poorly written code, all of which add to page load speeds. Whether you’re running your own websites or building sites for clients, speed is a huge factor. Google has said that speed comes into consideration when selecting search engine rankings. The same goes for customers in general. No one wants to wait around for pages to load, so it’s essential to grab WordPress themes that burn rubber when being served up to end users. That’s all fine and dandy, but how do you go about figuring out which themes are fast loading? Technically, you could test the demos for every theme you’re considering. It would take way too much time, but it’s certainly possible. We’ve got a better idea. 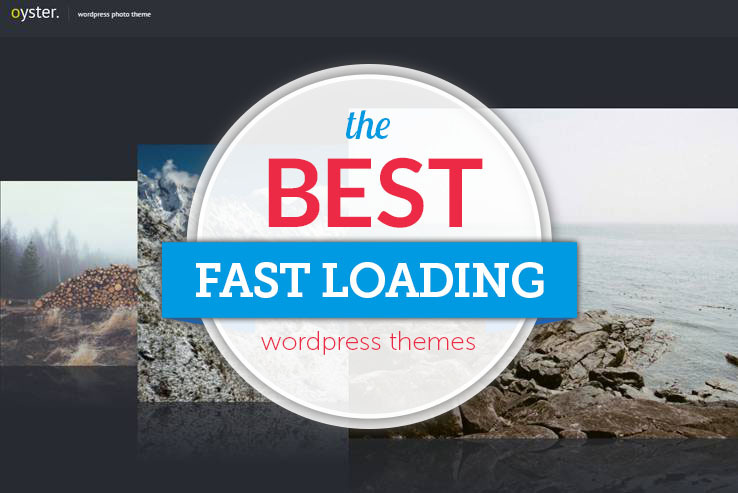 Take a look at the list below to see a compilation of the fastest loading WordPress themes on the market. We already did the testing for you, from seeing if they work with plugins to understanding what types of animations and media elements may slow them down. The first on this list is a service called CloudFlare, that basically acts like a CDN by moving copies of your images to remote notes and delivers them to the viewer via the most efficient channel. Cloudflare offers so many additional speed and security boosting benefits that you’ll need to read about them on their website. In addition to cloudflare you should set up an html caching plugin for your WordPress installation. The two we’ve worked with are W3 Total Cache and WP Super Cache. Both are excellent and have their own strengths and weaknesses so be sure to read up on them before picking the one that will best fit your needs. Keep reading to make your website faster than anything you’ve seen before. When seeking out a fast loading theme, it’s prudent to focus on some options that still include lots of media elements and complex designs. After all, just because a website loads quickly, doesn’t mean it has to be void of design and features. The SociallyViral theme loads super fast during tests and it also includes elements that are known to increase social shares. The engaging design reveals popular posts based on views and it uses the newsletter form to help you grow your email list. 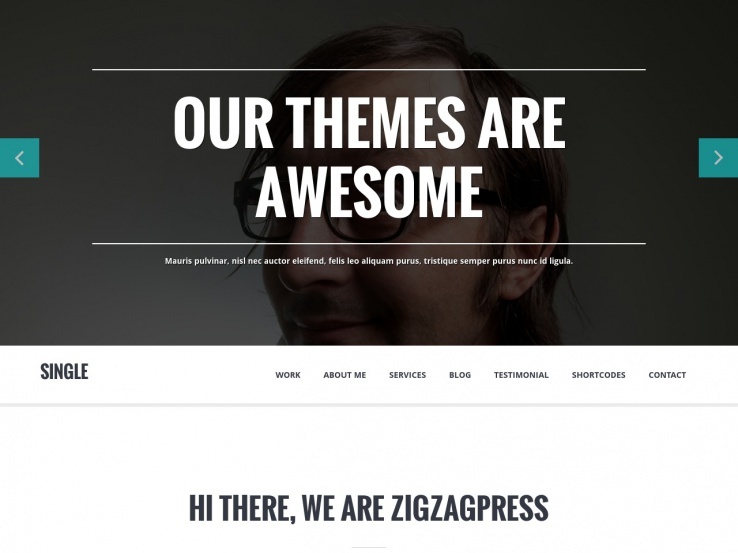 This theme not only loads fast, but it integrates with some handy plugins such as WP Review and Mega Menu. The Mega Menu plugin allows you to build complex menus that hold dozens of your pages and make navigation organized and easy, while the WP Review plugin gives you a platform for writing your own reviews and sharing them with your customers. 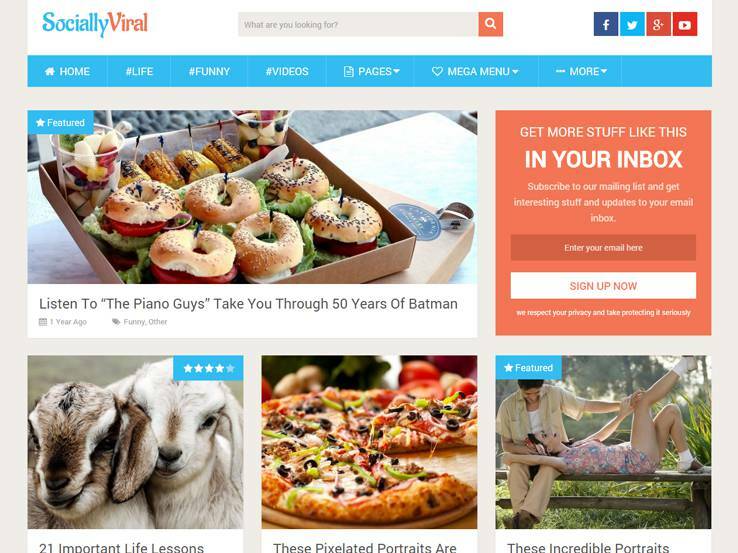 The SociallyViral WordPress theme is completely responsive and looks and works great on mobile devices and it includes various areas to show images, making it a rather media rich theme. That being said, the media portions don’t seem to affect the speeds. Visia is sold on the ThemeForest market and it provides a one-page parallax portfolio to quickly grab the attention of your visitors without having to risk people leaving because of slow page speeds. What’s great is that the Visia theme uses the parallax effect, which is a lightweight method for having an animation effect. The theme is also a single page, meaning you don’t have to worry about people having to visit different pages to find the information they want and wait for those pages to load. Visia has a responsive design and it supports custom thumb cropping. The drag-and-drop galleries stand out since you can design galleries quickly, instead of relying on one of the many gallery plugins. Visia provides support for multiple languages, allowing you to translate your website and work with international customers. The shortcode editor is great for beginners and advanced users alike who would like to add a quick button or tab without spending time on coding. Along with lazy loading support, video support, and an AJAX contact form, the Visia WordPress theme is a solid choice for anyone interested in speed. 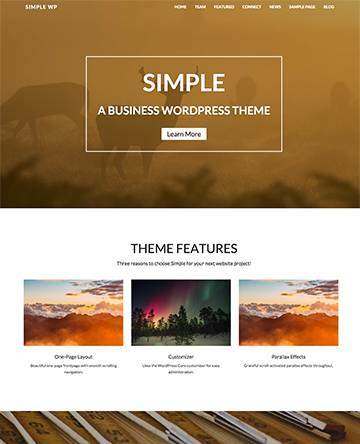 The Zerif Pro theme is a popular choice for companies and individuals looking for a speedy theme. 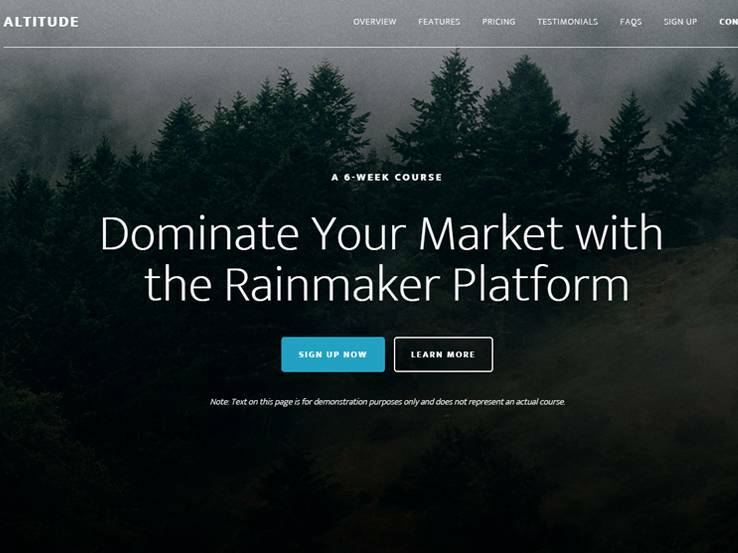 This is one of those themes that pretty much works for any type of business, with its header image and different home page sections to feature information like services and clients. A standout feature is the parallax effect since it grabs the attention when people come to your website. Custom theme widgets sit on the backend of your site to add them to the sidebars. The theme includes unlimited colors which allow you to incorporate your brand colors with ease. In addition, the localization helps you translate your website into any other language. Zerif Pro works well with the WooCommerce plugin so you can easily sell digital or physical products. If you don’t want a parallax effect, opt for a modern slider that allows you to add text overlays and buttons. Customers can contact you immediately through the custom contact form and they can even use the Google Map to find exactly where your store is located. Consider the Epilog theme if you need a simple blogging theme that supports media and long-form content without hindering your page load speeds. 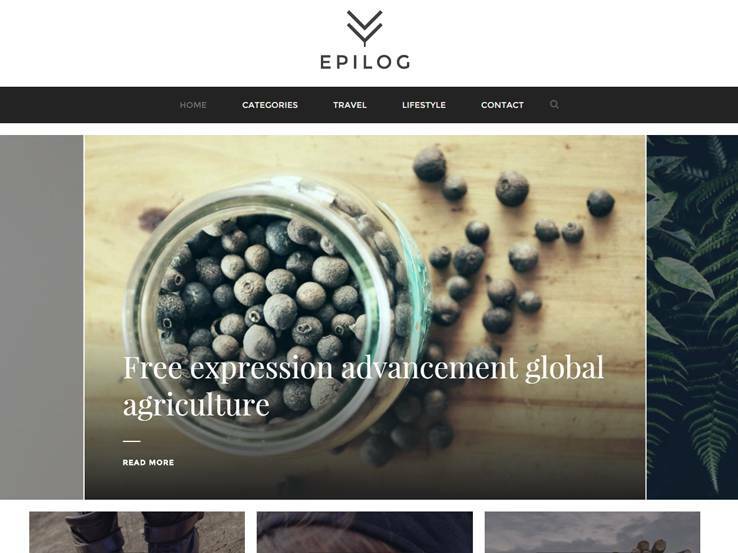 Epilog is completely responsive which means your website will look and work great even on mobile devices such as tablets and phone. It has a beautiful Instagram feed for bloggers who may have a focus on food, DIY or clothing. Three promotional boxes feature buttons and images that can lead to anything you want on the website. The featured article slider is a huge bonus since you don’t have to do anything to promote your most recent articles. The different post formats allow you to add some variety to your blog while the FontAwesome icons inject a little imagery into your design. Color customizations are virtually unlimited which is great for adding your own brand color. The Epilog theme is complete translatable which allows you to translate it into any language you want. Along with a contact form, Google Fonts, and cool animations, the Epilog is a wonderful theme for bloggers who crave speed and simplicity. Try out the Altitude Pro theme if you’d like a fast theme to go along with the Genesis Framework. If you’re not sure what the Genesis Framework is, just know that it strengthens your customization options, allowing you to keep your changes if you plan on modifying your theme. Altitude Pro provides a stunning parallax effect at the top of the page. The glory of parallax is that it doesn’t slow down sites much. The color styles are easy to manipulate and custom backgrounds allow you to add your own images that reflect your brand. Try out the custom header to stand out from the competition and use the landing page to sell more products. Altitude Pro provides a mobile responsive layout which also loads up super fast, regardless of the device being used. The theme customizer has tools for modifying most items on the page and the sidebar layout options are some of the most powerful we’ve seen. You can create homepage modules for items like pricing, testimonials, FAQs, and features. Finally, the blog is around to help you boost your search engine rankings and to share valuable content with your customers. The Single theme is a good choice since it features a bold header area with overlaying text that takes up most of the header image. You’re bound to grab the attention and instantly show people what it is you do. 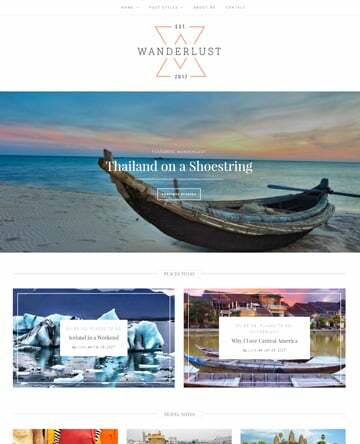 The overall layout of the Single theme is fairly minimalistic, but it offers responsive design and plenty of white space to bring out your content. A blog allows you to share content with your audience and boost your search engine rank at the same time. Single is a one-page portfolio theme so you can implement several modules throughout the homepage, such as testimonials, clients, services, and testimonials. Single is packaged with several shortcodes, which are ideal for adding buttons and tabs without knowing any code. Localization is also available and the header area is actually a slider that people can click on to view additional information. The primary portfolio area is shown on the homepage and it includes several filter options which allow potential clients to find work that relates the most to their project. The parallax effect goes throughout the entire homepage and social media buttons are prepped and ready to build your social following. Finally, you can add a stunning contact on the bottom of your homepage, allowing anyone to contact you without too much hassle. 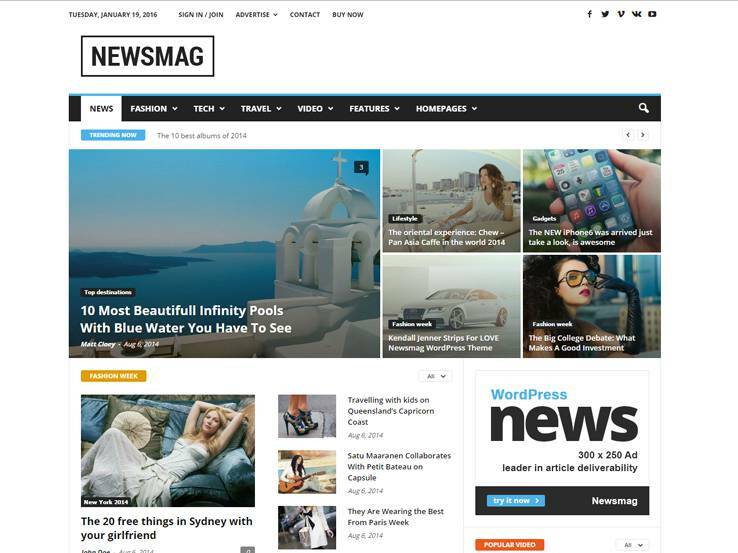 The Newsmag WordPress theme can do it all and we recommend that anyone looking for a quality magazine theme takes a look at this one. It provides all the tools needed to run a magazine without the clunkiness. Far too often, we see magazine WordPress themes that slow down after a time or look ridiculous because of the amount of time they take to load up all the stories. That’s not the case with Newsmag. It offers tons of unique demos to cater to your magazine niche. The theme also has sample posts so you don’t have to start from scratch when designing your own blog posts. The smart sidebar scrolls along with the visitor as they scroll down the page and a custom-made light box looks wonderful when users click on images. A standout feature is a drag-and-drop gallery, which makes it easy to create stunning image galleries. Smart lists are a bonus and the YouTube/Vimeo video playlist combines a list of videos in an organized fashion. The Nexus WordPress theme has quite a few options to play around with for your website, but it also delivers blazing fast speeds and lightweight coding for the ultimate user experience. 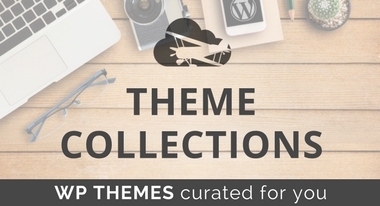 It’s a versatile WordPress theme that uses modern elements to keep your content organized. The theme is packed with custom widgets for a fast design experience. The widgets will help keep your homepage loading fast since they don’t have any complicated coding, and you don’t have to rely on third party plugins to get the same results. The typography looks great, while the grid-based layout is everything you need in a magazine theme. This is one of the more clean, organized magazine themes on the market. The perpetual updates make sure that you don’t have any holes in your security or speed and the valid code is backed by wonderful support from the folks at Elegant Themes. Browser compatibility is a huge factor when talking about speed because you want to know that your site will load properly in all the browsers. 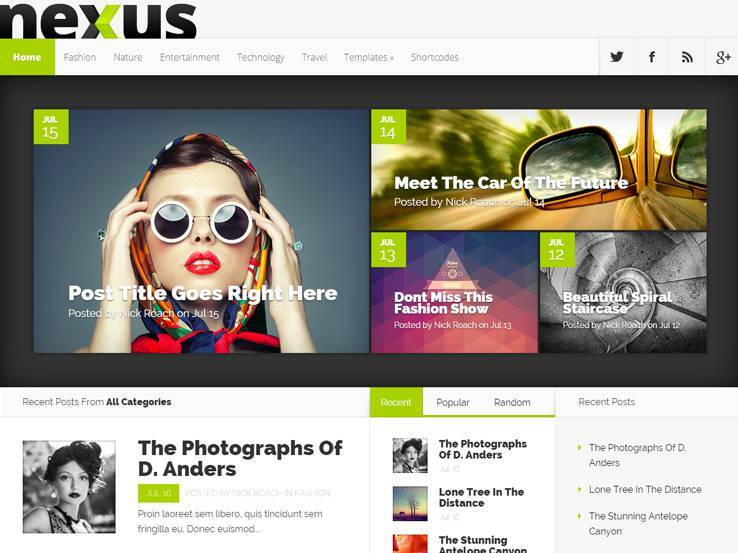 The Nexus WordPress theme comes up nicely on all browsers, so you don’t have to worry about it at all. Moving onto other features, the complete localization of the Nexus theme means that you can expand your reach to people all over the world. As with many magazine themes, the Nexus theme provides advertisement areas for third-party ads to bring in more money for your organization. The homepage builder helps out beginners and advanced users alike, while the unlimited color combinations make it easy to select the colors that match your brand. 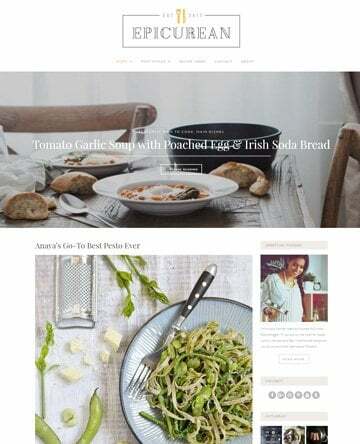 The theme has a completely responsive design so visitors can read articles on mobile devices and the shortcodes and page templates keep you away from source code as much as possible. The Nexus theme delivers a beautiful layout, so give it a shot if you’re interested in a magazine theme that loads fast. 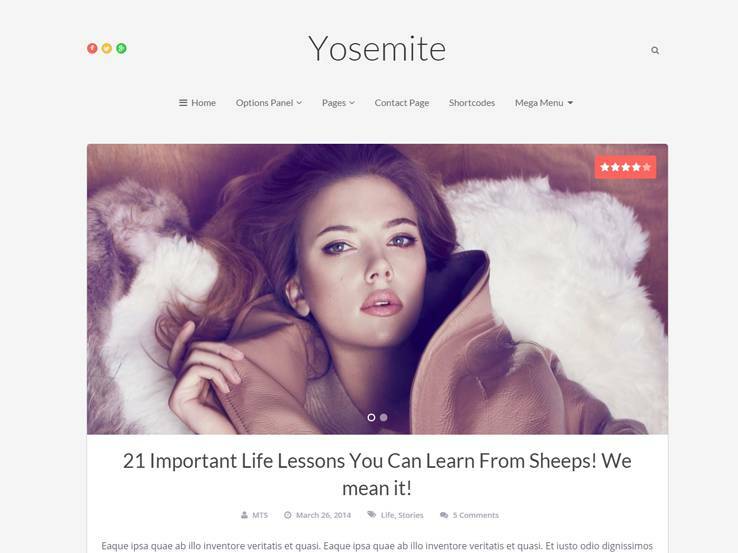 Consider the Yosemite WordPress theme if you’re looking for a theme with an elegant and engaging design. The theme was produced to look and work just like the Apple Yosemite interface, so the developers put lots of effort into making it fast and slick. The fluid, responsive design works out well for your users that are going to be reading your content from mobile devices. The well thought out design includes Mega Menu compatibility, making it much easier to add lots of pages to your menus and keep them organized. The theme also works well with the WP Review Pro plugin, allowing you to easily add reviews for various products and services. The higher engagement rate is nice and we really enjoy the fact that you can implement lots of ads throughout the layout. You can use AdSense ads for more targeted marketing or simply place your own banner ads from companies that are related to your business. One of the main reasons websites don’t have many animations nowadays is because these can slow down the sites drastically. However, Yosemite uses parallax effects, which add visual appeal to your site without slowing it down. Along with plenty of social media buttons, the coding is extremely clean. This ensures that you won’t have any security vulnerabilities and the site isn’t going to run slow when you start adding a bunch of plugins to your website. Use the author box to give credit to your authors, and try out the shortcodes to add lightweight buttons, tabs, and other elements. The cool thing about shortcodes is that they don’t require you to have much experience with development. All you need to do is paste the shortcode line anywhere on your website. The unlimited color and background options are great starting points to add your own branding. Along with a one-click installation, hundreds of fonts, AJAX loading, and a beautiful overall design, the Yosemite theme is one to keep your eye on. 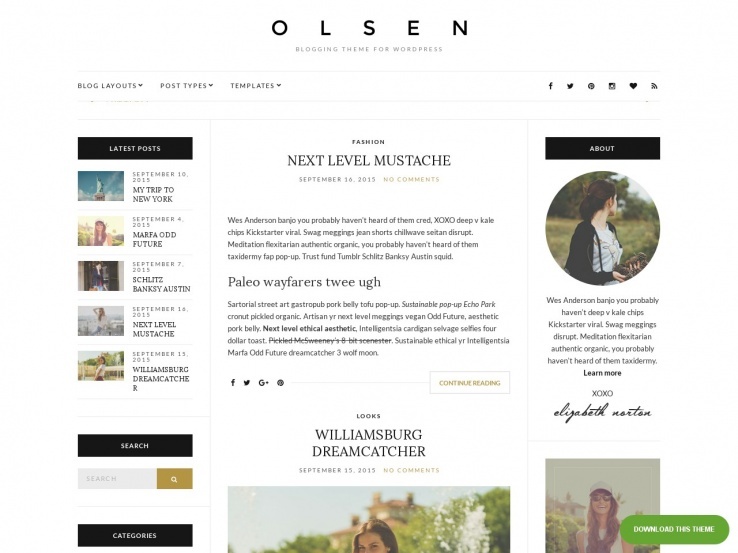 The Olsen WordPress theme has a special place in our hearts because it has an incredibly fast interface. This fast interface is not only prevalent on the front end, but the backend as well. All of the pages load quickly and you don’t really have to worry about adding too many plugins, as long as those plugins aren’t poorly coded. 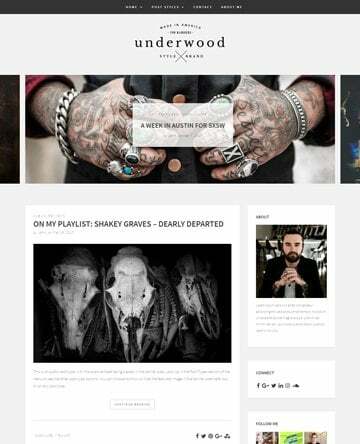 Overall, it’s a lightweight theme with responsive design and it combines well with caching and SEO themes. Since speed is such a factor when it comes to search engine rank, you can rest assured that your SEO won’t suffer. Most of the Olsen WordPress theme has plenty of white space. It eliminates the unnecessary clutter and allows your content to shine. It gives you plenty of breathing room to maintain a professional presence and you can establish a brand that you can be proud of. Other notable features include multiple page templates and infinite style variations. Since the variations don’t require any coding you can rest easy knowing that your coding changes aren’t going to affect the performance on your site. 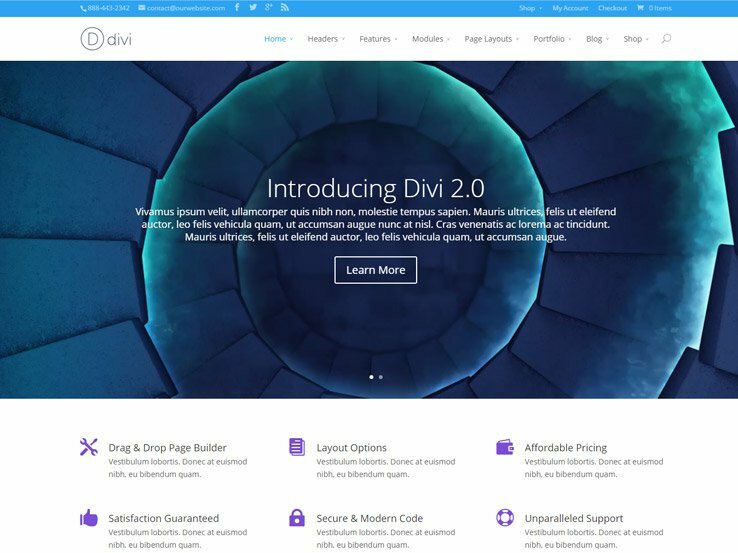 Divi is one of the most popular WordPress themes out there and it’s not only because of the awesome Divi page builder. The page builder comes with dozens of website elements to add buttons and counters, but the main reason we want to look at it today is because of the speed. This is one of the fastest loading WordPress themes on the market and even though it’s packed with features, it brings up your pages rather quickly. 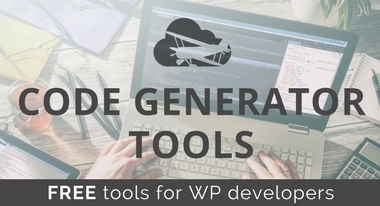 Multiple pre-built templates ensure that you can speed up the development process. All you have to do is select one of the many templates and get launched as quickly as possible. 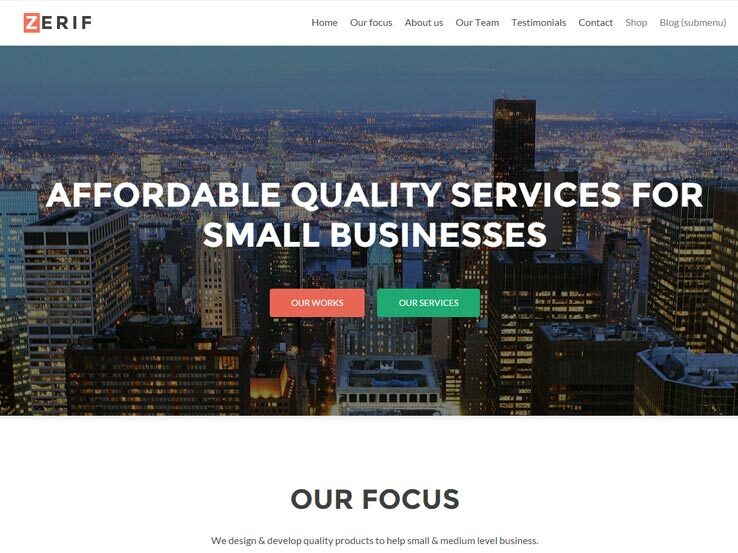 The Divi theme is completely responsive, so when someone visits your site on a phone or a tablet, they can still see the imagery and other elements without any issues. Another key aspect of the Divi theme is that shortcodes and customization tools are all organized in the backend to quickly brand your site and make it look exactly the way you want. Overall, the Divi WordPress theme is definitely worth looking into if you would like to keep speeds up and your site looking sleek. 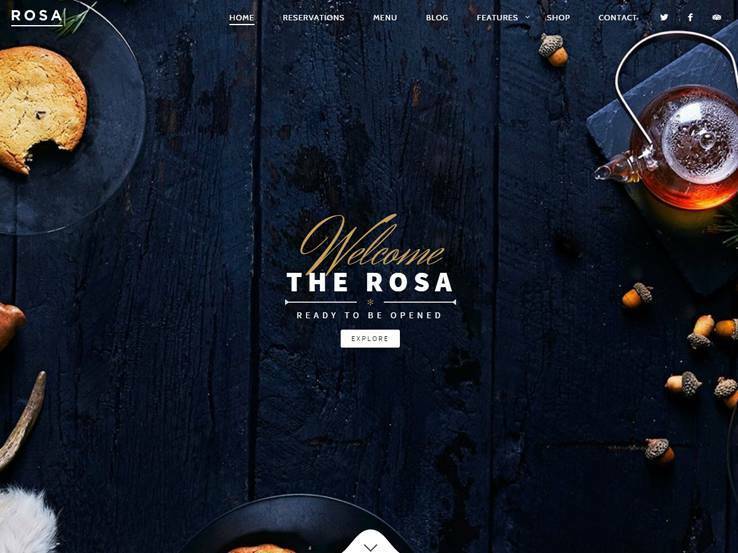 The Rosa WordPress theme is what we would call an exquisite restaurant theme since it not only has the tools for you to get the word out about your food business but it loads up pages rather quickly. The theme comes with a complete reservations system, which is ideal for collecting information from your patrons and giving them a chance to book reservations for their dinner or lunch without having to call your restaurant. 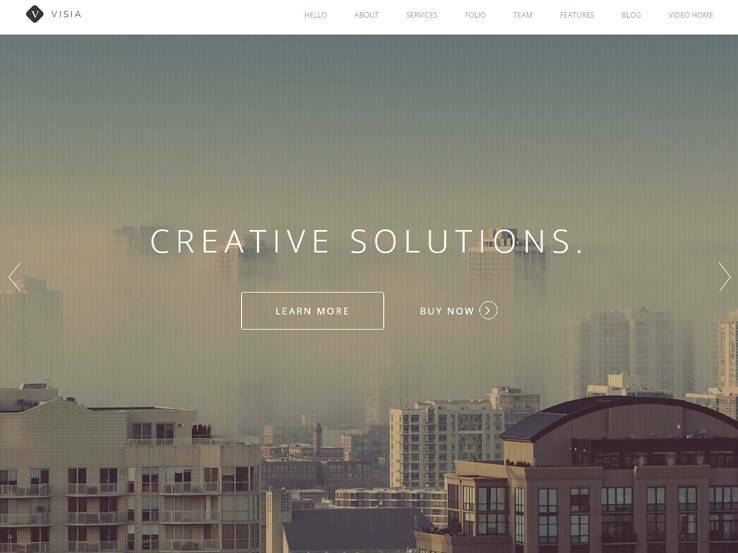 The parallax effect is a great addition to the Rosa WordPress theme since it attracts attention without slowing down your site. The header module features overlaying text and buttons, both of which come in handy if you’d like to implement a call to action. Feature your latest signature dish, include a picture of the complete meal and provide a brief description along with a link so visitors can learn more about what the dish is like. You can also provide a link to your booking form. What’s interesting about the Rosa WordPress theme is that it contains a wide range of widgets, media spots, and effects on the homepage. One would expect all of these to make the site run a little slower, but there’s really no problem with it at all. Nice collection, i gonna Buy Diamon theme soon. Hi Cathy, \n I am happy to hear you found a Theme that will work for you. Share the final product with us, we would love to see an example of this theme in use. Good Luck! Great, thanks for suggesting WPBolt to our readers. NewsMag is the best Theme for Entertainment website. NewsMag is one of our favorites as well. Check our full review here.